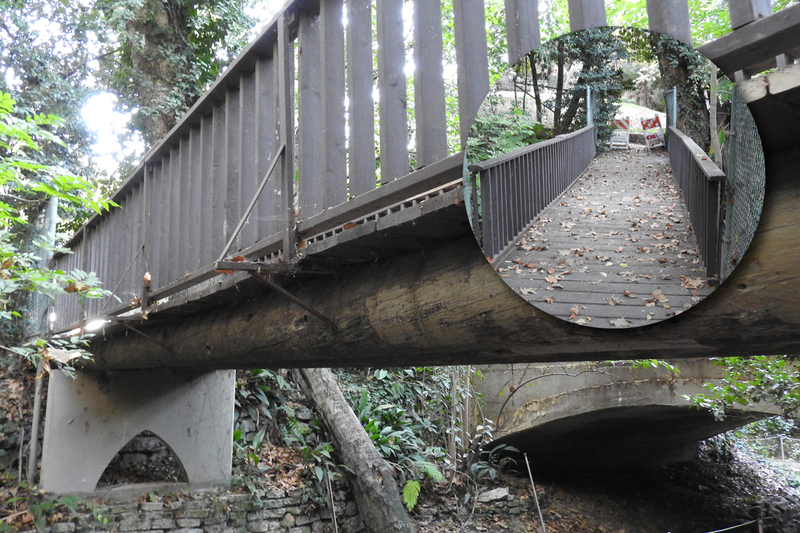 Several years ago, the Fern Dell pedestrian bridge was closed due to unsafe conditions. Pedestrians on the path frequently walk in the narrow street to get around the closure creating another safety hazard. 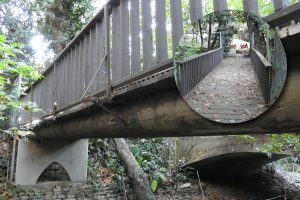 Friends of Griffith Park’s goal is to repair the bridge so the public can once again enjoy its usage. We are pleased to inform everyone that progress on repairing the bridge is moving right along. Our structural engineer and preservation architect have worked together to prepare drawings for the bridge repair which will bring back both the beautiful railings and the curved arch under the bridge. Given the absence of original architectural drawings, the design is based on a post card from the 1930s that shows how the wooden pedestrian bridge featured a graceful arch that matched the arch of the adjoining concrete car bridge at Red Oak Drive. 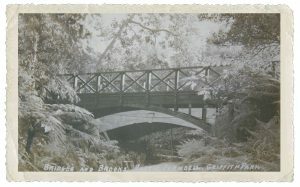 The post card also shows the classic X design of the railings that was very popular in the 1930s. The new railing will recreate the look of the original but have thin cables added so that it meets current safety requirements. The design phase is successfully completed and FoGP is now working with the city on the various approvals and processes necessary to get to construction as soon as possible. We invite you to compare the condition of the bridge over the years. 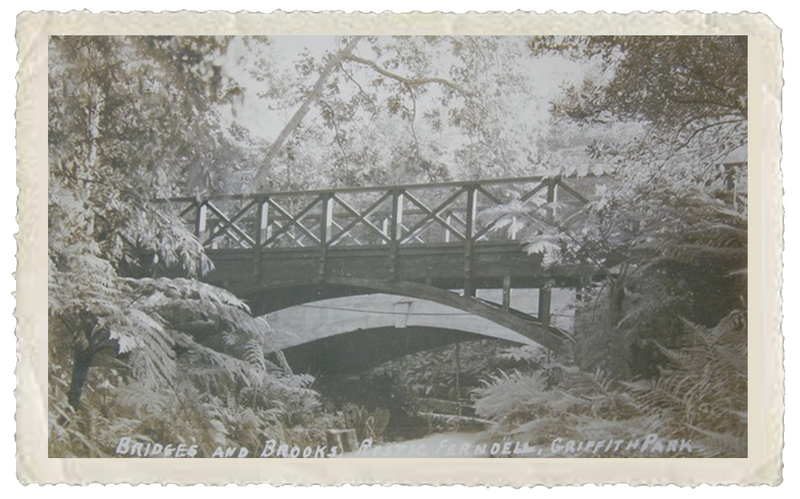 Look at the curve of the bridge in the 1930s post card. Lovely. Look at the bridge as it is today. Sob! Now compare them with the drawing of what the bridge will look like after it is repaired. What do you think?